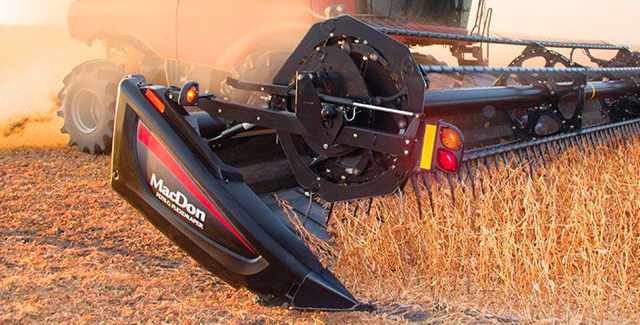 With a worldwide reputation for excellence as “The Harvesting Specialists,” MacDon Industries is a manufacturer of high quality, high performance harvesting equipment that helps producers harvest the crops that feed the world. MacDon FlexDraper® and draper headers are designed to maximize productivity in the most challenging harvesting situations, from our Active Float System that keeps our headers true-to-the-ground, to the outstanding performance of our reel. Available in sizes up to 13.7 m (45'), MacDon combine drapers are built tough to deliver worry-free harvesting performance with any crop and on any combine.